It might be helpful to think about the gargantuan bass of the recent crew of dubstep-inclined U.S. festival ravers the way you might think about beer. 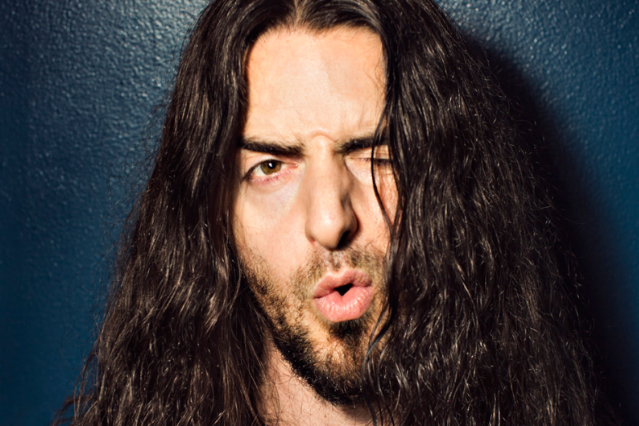 In the early ’90s, before the American craft brewery movement caught on in a big way, Keystone Light advertised itself as the antidote to something called “Bitter Beer Face.” Two decades later, beer makers are used to boasting about their hoppy flavors, and Bassnectar’s gritty new video hits with IPA-strength intensity — plus some effects-tweaked facial expressions that strongly resemble that beer-twisted visage. The visuals for “Ugly,” from the California producer’s (government name: Lorin Ashton) new Vava Voom, are as frenetic and no-holds-barred as the drum-crazed track itself. As SPIN’s Control Voltage blog noted, ” ‘Ugly’ moves like a Godzilla-scale lawnmower plowing through a fife and drum corps, opening with an extended volley of rapid-fire snare tattoos before striking an uneasy balance between half-time dubstep cadences and open-throttle drum ‘n’ bass.” The clip lists several definitions for the word “ugly,” shows Ashton running down a railroad track, and then encourages us to “stretch your face muscles.” The results are plain to see — no bottle opener required.